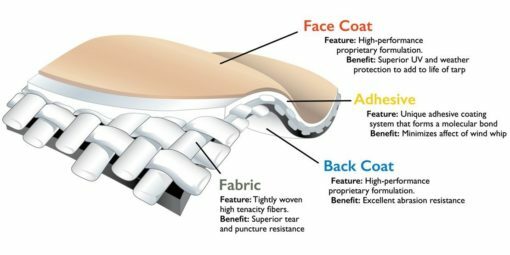 These are NOT your disposable tarps! 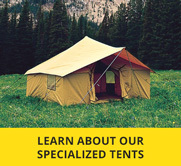 Constructed of heavy duty Shelter Rite 18oz polyester based fabric with amazing strength! 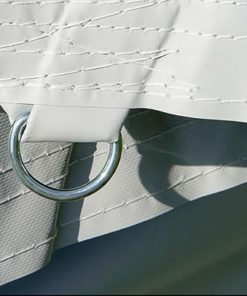 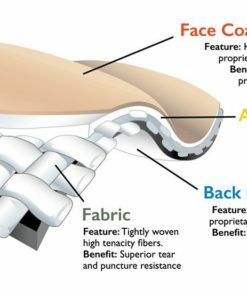 Shelter Rite is a fabric woven and coated in the USA designed which features a 4 layers of construction; A face coat that provides superior UV and weather protection to add to the tarps life span, a interior adhesive that provides to the overall strength of the fabric, an inner layer of fibers that provide excellent tear and puncture resistance, and a back coat that provides excellent abrasion resistance. 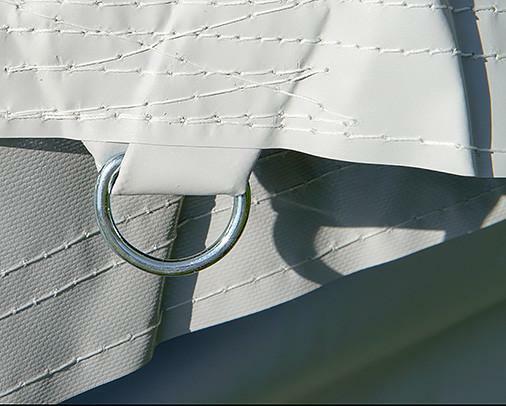 These tarps are constructed with reinforced welded steel ‘D’ rings for easily securing in all applications. 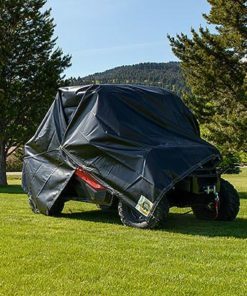 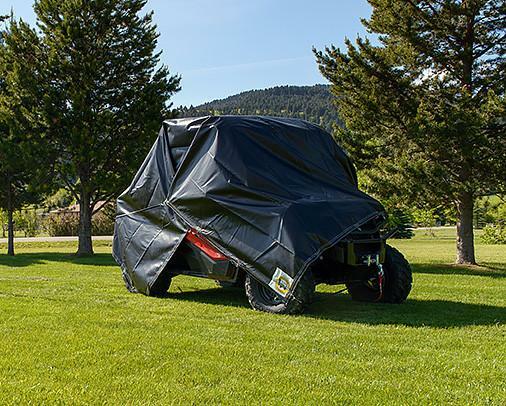 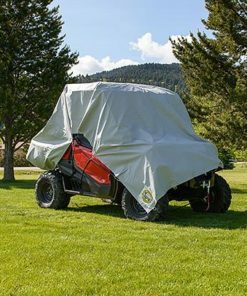 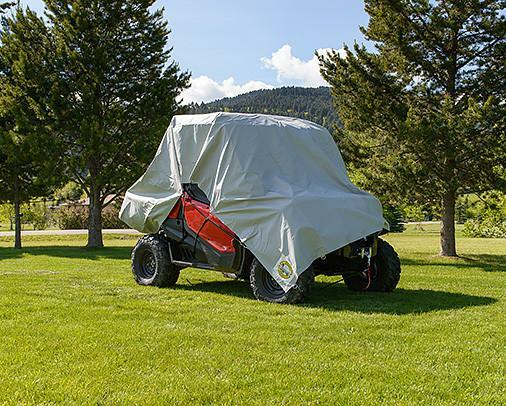 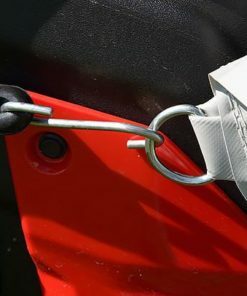 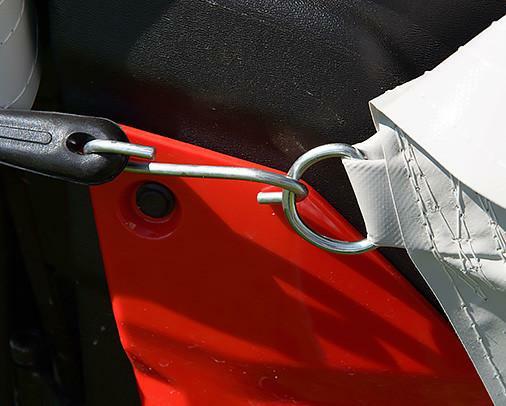 Tarps can be used for all applications from covering ATV’s, lawnmowers, boats, truck beds, wood piles, etc. 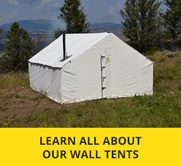 Available in 2 sizes- 8′ x 10′ and 10′ x 14′ in 2 color options of either Black or Grey.